Official Outlander MacKenzie Lambswool Stole. Scottish-made of the finest 100% pure new lambswool. Measures 72-inches long x 30-inches wide. 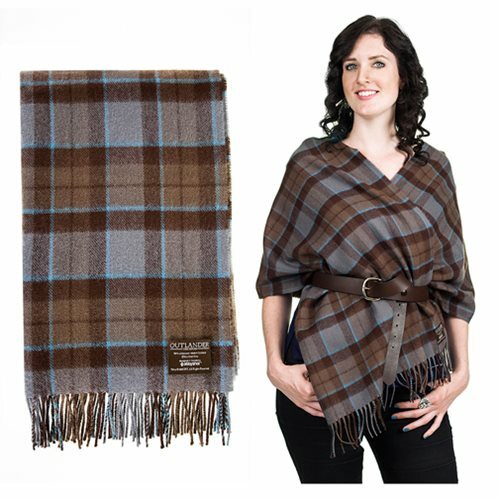 Wrap yourself in the official Outlander MacKenzie Lambswool Stole and feel the touch of a love that spans time. As you wend your way home from gathering herbs in the countryside, while basking in the warmth of your Scottish-made Outlander MacKenzie Lambswool Stole, you'll swear you can hear the faint sound of bagpipes in the distance. Made of the finest 100% pure new lambswool by the most discerning of weavers, the historical shades of this tartan will have you reminiscing of a most romantic era. Measures 72-inches long x 30-inches wide, not including the fringe.